An event organized by the Ministry of the Sea in partnership with SAFER project partner Forum Oceano. 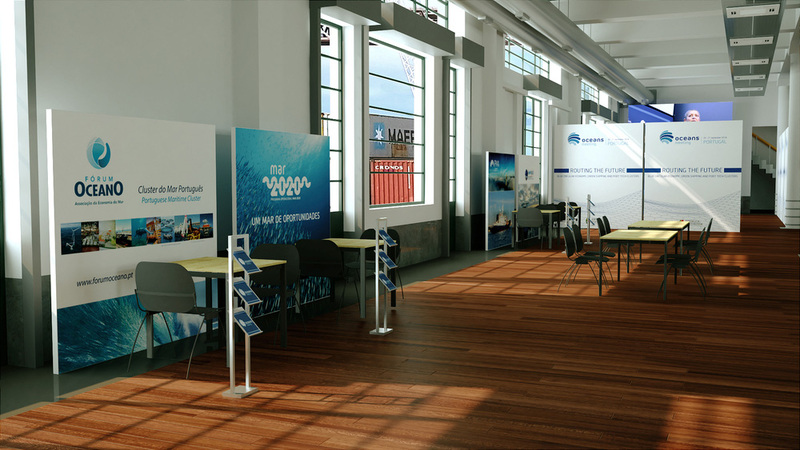 Ocean Business 2018 is an international blue industry event that will be held in Lisbon (Gare Marítima de Alcântara), from 18th to 20th of September 2018, which aims to foster networking and debate around sustainable ocean business solutions in all important key areas. The event will focus not only on emergent areas like green shipping, ocean engineering, maritime digitalization, ocean robotics, environmental monitoring and protection, maritime security and safety, but also traditional activities such as fisheries, aquaculture, tourism and leisure. Oceans Meeting 2018 from the 20th to 21st of September - a Ministerial Meeting under the core theme “Blue Circular Economy, Port Tech Clusters and Green Shipping”. Exhibition area – small showcase areas for companies, start-ups, R&D+Innovation centres, universities, NGO’s and public entities. Pitches area – stage area for start-up pitches, ideas pitches and debates. B2B area – areas for private business meeting and networking. So, if you are a company, a R&D centre, a start-up, a university or a NGO that operates in the ocean business area and are interested in participating (free of charge), you can register in the Ocean Business 2018 digital platform, where you will be able to apply for an exhibition area, pitcher and register for the B2B meetings. For further information you can contact Forum Oceano by email or phone: 00351 220120764.